First impressions are always important. The first day of class provides faculty with the opportunity to present their vision for the class, as well as laying out expectations for a student to successfully complete the term. Students will appreciate a clear roadmap of the course and what they can expect to accomplish in the course. Provide students with a brief personal and educational biography. 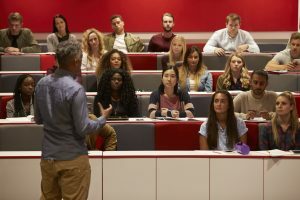 Allow students to introduce themselves to get a sense of their reasons for taking the course, interest in a particular topic, and what they would like to learn from the course. It is important to set clear expectations for students in completing their coursework, how they are to engage in the course, how they will be assessed, as well as how to successfully complete the course.